After completing a thorough and rigorous vetting process, QA1 has completed the Women-Owned Small Business (WOSB) Program Certification, one of the Small Business Administration’s various contracting programs. QA1 first received national certification as a Women’s Business Enterprise by the Women’s Business Development Center – Midwest, a regional certifying partner of the Women’s Business Enterprise National Council (WBENC). 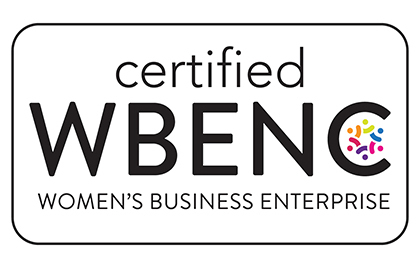 WBENC’s national standard of certification is a meticulous process including an in-depth review of the business and site inspection. The certification process is designed to confirm the business is at least 51% owned, operated, and controlled by a woman or women. QA1’s president and majority shareholders are women, and attaining this certification required proving that they were involved in both managing day-to-day operations and in making long-term decisions. After receiving WBE certification, they were eligible for and attained WOSB status. By achieving this certification, QA1 is eligible to compete for federal contracts set aside for the program. Government agencies reserve contracts for small businesses that are certified in the SBA’s various contracting programs, including the WOSB Program. These contracts are for industries where women-owned small businesses (WOSBs) are underrepresented. QA1 has been certified for the industries in NAICS code 336330, Motor Vehicle Steering and Suspension Components (except Spring) Manufacturing.